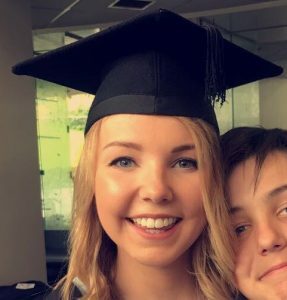 Amy Shepherd, a recent graduate from The University of Nottingham, has spent the summer as an intern at SAS UK. As a last task we have asked her to share her final thoughts on what it's been like to undertake an internship. My time here at SAS has been varied to say the least, I arrived during SAS Forum UK preparations. Much of my first week was dedicated to getting everything ready for the big event! From packing goody bags to organising name badges, this week was an invaluable insight into the planning and logistics that go on behind the scenes (Sarah you are a superstar!) Then the following week came the Forum itself and it was truly an amazing event to be a part of. It was incredible seeing so many people come together to explore all things SAS and I got to work with some truly inspiring people both from the UK office and further afield. Since SAS Forum I’ve mainly been tasked with working on academic social media channels which has been a dream come true. The passion and enthusiasm of Mayra is infectious and I couldn’t be any prouder of the campaign Jonathan and I created (with a little bit of help from Felix). Social Media is a challenge and to be given full creative licence to restructure the account was the biggest professional compliment. Support – My time at SAS was phenomenal, first and foremost because of the people in my team. They had my back every step of the way and whilst I felt challenged, I always felt a huge amount of trust. An internship here is unlike anywhere else because not only will you be given actual work to do, you’ll be treated like a valued cog in a well-oiled machine. Ambition – In all honesty I started at SAS in a time of real personal uncertainty. I’d left university with no real idea of what I wanted to do yet, all I knew was that marketing seemed an interesting avenue to explore. My time at SAS has left me feeling both inspired and ambitious. Working in a company that always thrives to not only be ahead of the game but to BE the game has a huge impact on the way you work. I would arrive in the office early and leave late, not because I had to but because I wanted to. I truly believe that the work SAS is doing will change the world and I feel incredibly privileged to have been involved…even if only a little bit. Surroundings – I couldn’t write this blog post and not mention the gorgeous location I’ve been able to call home for the last month. It’s no exaggeration when I say that the SAS Marlow office is the workplace of dreams, with rolling hills, rivers and rose gardens...it’s the most quintessentially English backdrop imaginable. Each day after lunch I would go on a walk-through campus and to be surrounded by such beautiful nature. It was the perfect pick me up in the middle of the day. So thank you SAS, you’ve been an absolute pleasure. You’ve profoundly impacted my worldview and undoubtedly shaped the businesswoman I’ll become. Learn new analytical skills and make a difference at SAS, for summer internship opportunities, visit our careers page. Thank you Amy! It was an absolute pleasure to have you on our team! Good luck in your next exciting steps. This is awesome, Amy! I am an intern at SAS HQ over in Cary, NC - would love to hear about your experience interning in the UK!